Provides extra carrying storage depending on the volume occupied by the items being stored. Can store inventory item types such as weapons, ammo, grenades, mines, deployable weapons, implants, energy cells, Medkits etc. 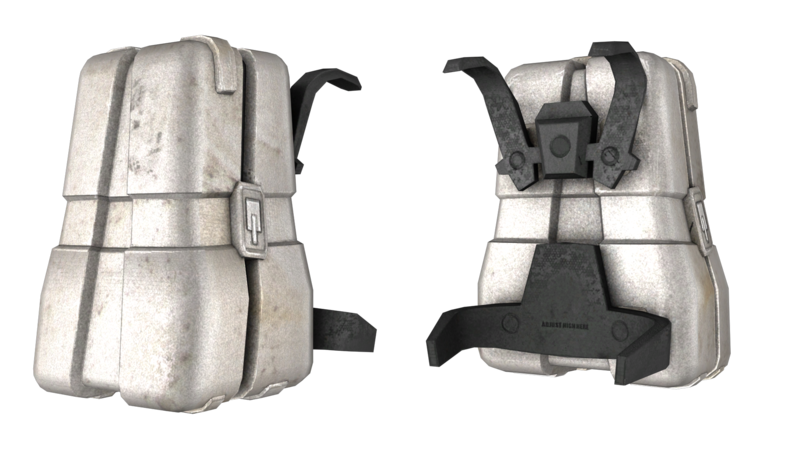 Cannot store large items such as jetpacks, Personal Supply Pack, Personal Weapons Pack, Personal Medical Pack.